G. W. May Electric Co., Inc.
Electric services for Durham, Orange, Person, Wake, and surrounding counties in North Carolina (NC). Quality electrical services for Durham, Orange, Person, Wake and surrounding counties in North Carolina. All work done quickly, professionally, and at reasonable prices. 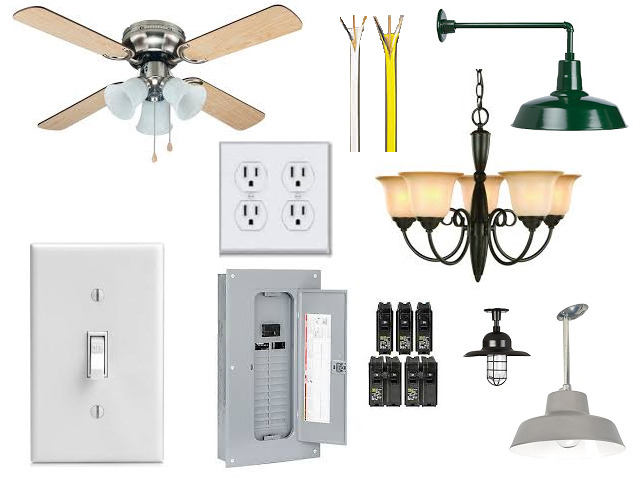 Switches, Receptacles, Wiring, Panels, lighting, etc. We can repair or install all types of lights, switches, receptacles, fans, wiring for washer/dryer/range, main panel replacement or up-grades, breakers, etc. We can install GENERAC whole house generators and offer servicing for most other major brands of whole house generators. We can reconnect all major brands of HVAC, Heat Pumps, Gas Packs, WSHP, Gas Furnaces, etc. Thank you! Someone will contact you shortly to setup an appointment to discuss the scope of electrical work requested. Thank you! Someone will contact you shortly to setup an appointment to discuss the scope of generator work requested. Thank you! Someone will contact you shortly to setup an appointment to discuss the scope of HVAC work requested.